The Los Angeles Police Department says it “inadvertently provided” information to some media sources that Tom Petty had died, but now the agency has “no information” about the singer. 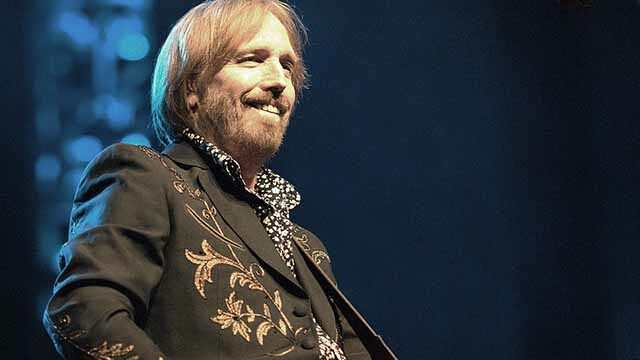 CBS News initially reported Petty’s death, saying it had been confirmed by the LAPD. The website TMZ reported that Petty was not expected to live much longer, but was clinging to life as of early Monday afternoon. The website reports there is a “do not resuscitate” order for the legendary rocker. The Los Angeles-based singer-songwriter, whose band the Heartbreakers remained true to its classic-rock roots though decades of fleeting musical fads and styles, suffered an apparent heart attack. He performed Sept. 17, the final night of the KAABOO Del Mar music festival, but also three times later at the Hollywood Bowl in Los Angeles. Petty was found unconscious and non-responsive in his Malibu home late Sunday after suffering a full cardiac arrest, according various news reports. According to media reports, the 66-year-old rocker was taken to UCLA Medical Center Santa Monica, where he was put on life support and his pulse returned. Later the decision was made to remove him from life support after it was found that he was lacking brain activity, the website TMZ reported. His most recent stage appearance took place Sept. 25 at the Hollywood Bowl, the last of three sold-out shows there marking the finale of the band’s extensive North American tour celebrating the 40th anniversary of their self-titled debut album. Petty and his longtime band mates first came together in the early 1970s in their hometown of Gainesville, Florida. Their self-titled debut album appeared in 1976, and the band scored hits over several decades, including “American Girl,” “Free Fallin’,” “Refugee” and “I Won’t Back Down.” He was also a member of the collective the Traveling Wilburys in the late 1980s alongside Bob Dylan, George Harrison, Roy Orbison and Jeff Lynne. Known for a slurred, relaxed vocal delivery, a scarecrow pose and swaying blond hair, Petty often recalled Bob Dylan and Roger McGuinn. Born and raised in northern Florida, he began playing music while he was still in high school and at 17, he formed Mudcrutch, which also included future Heartbreakers guitarist Mike Campbell and keyboardist Benmont Tench. By 1970, Mudcrutch had moved to Los Angeles with hopes of finding a record contract.